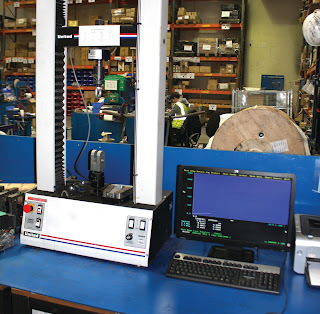 SWR Garage Door Spares recently introduced a new 1T destruction testing machine specifically for their garage door cables. 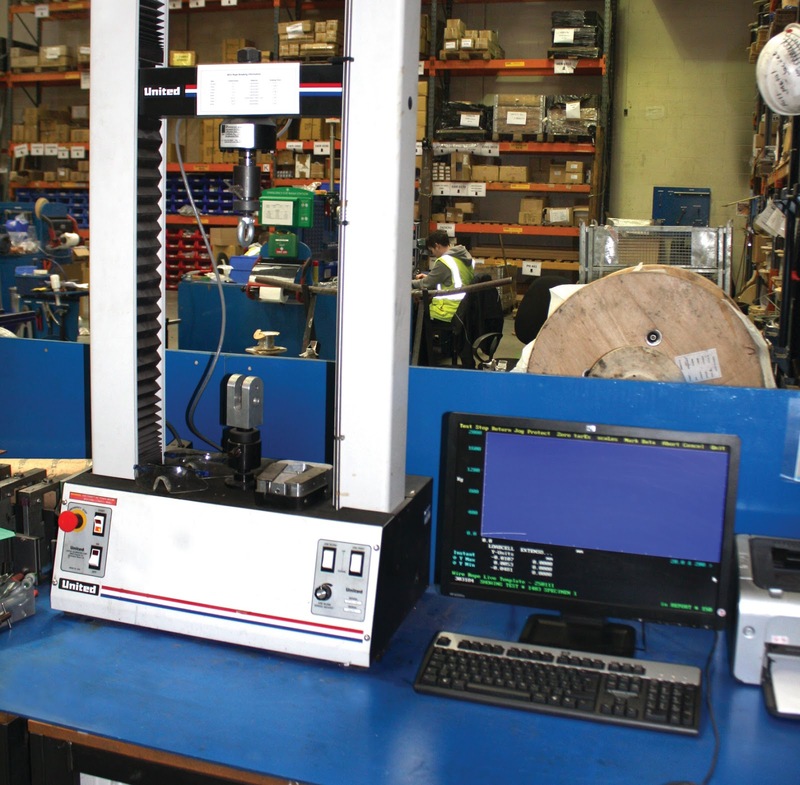 Whilst SWR have always tested cables to destruction and ensured they surpass the minimum breaking load requirements in the relevant ISO standards, they wanted a greater degree of accuracy and test data. The new machine applies the load and records the results using a more sophisticated process, measuring yield as well as actual breaking loads. Every crimped cable loop manufactured by SWR is produced to an extremely high standard and must surpass the full breaking load of the wire rope itself. Each production batch is put through rigorous testing procedures in line with ISO9001 manufacturing processes. “Garage Door Cable repairs are frequent and important jobs for the vast majority of our trade customers. We know our customers rightly expect an excellent level of cable quality and performance. By investing in manufacturing and testing equipment, we have found ways to further improve our cable products. For example, all SWR cables have a tensile strength of 1960N/mm2 - this is 10% higher than the industry norm. We have also improved rope lubrication to maximise performance. All of this is supported by modern testing and manufacturing processes to ensure our quality always surpasses the needs of our customers. This also includes full traceability of all components and full wire rope chemical analysis”.